Our rates are fair and competitive with no hidden fees, and we maintain Professional Liability Insurance. Our employees are friendly and will be there to help you every step of the way. 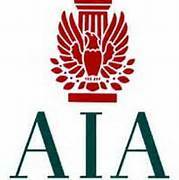 John Patrick Walsh, AIA - Architectural Design, LLC has been located in Westerly since 2003. We invite you to let us put our experience to work for you. Please feel free to contact us now for a free consultation and discussion.